school | Another dot in the blogosphere? This is about as close to viral as evidence of educational leadership might get. The usual tropes apply, e.g,. leading by example, doing as others do, taking the risk to look foolish, etc. I applaud and admire the school principal. But I also balance that view with a challenge to ourselves: It is easier to challenge everyone to do the same thing at the same time. That is how schools operate by default much of the time. How about challenging each student to be their best selves? This is not the stuff of viral videos, but it is what schools need to do all the time. The writeup embedded above about the rise of Waldorf schools in Estonia made for some interesting reading. But based on the reporting alone, I thought that it mixed various ideas just like a salad. 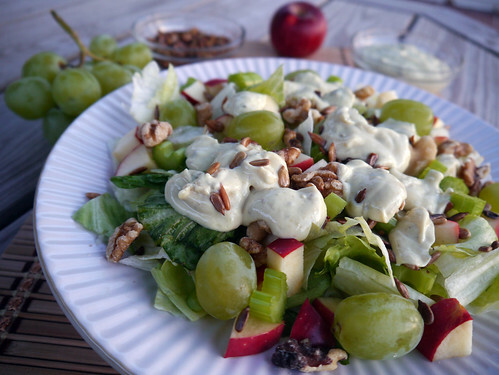 Actual salads should be healthy, but not all are. For example, two years ago CNBC reported a salad that had more calories and fat than a burger. School policy salads are a mixed bag too. I like how the Waldorf schools in Estonia embrace the humanities, focus on cross-disciplinary integration of academic subjects, and emphasise actionable feedback instead of competitive grading. But I wonder about their policy to avoid technology until students are in high school. When I first heard about the Waldorf way some years ago, it was about this approach. Defenders of this approach might point out that technology is better in the hands of older and more responsible learners. They also say that technology is distracting and mind-numbing. I would remind them that there are adults who do not know how to use technology responsibly, so it is never too young to learn. Our kids do not learn by avoidance; they learn by immersion. We are their coaches and lifeguards. The same technology that hampers learning can also enable it. The difference lies in how students are guided to use it. And they must use it, not avoid it. Avoiding technology might reduce some problems (e.g., distraction), but it also creates other problems (e.g., unprincipled use). I have read many school mottos, but one that confuses me is “rooted to soar”. According to the school’s Wikipedia page the motto is explained as “rooted in character and skills, to soar for the nation”. However, this is not obvious in a three-word motto. School mottos should make sense immediately. They should not need elaboration or a Google search. After all, they are supposed to be distillations of what each school strives for or values the most. How exactly does one remain rooted while trying to soar? A circling raptor is not tethered to the ground. If it were, it might look like an aerostat. 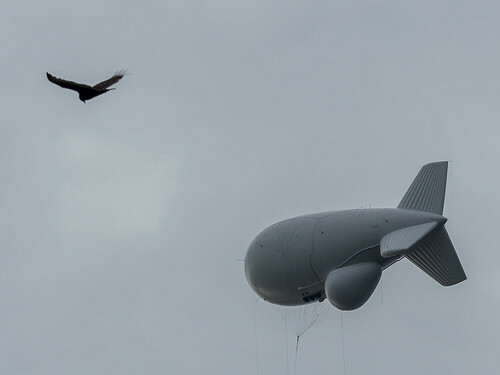 While an aerostat seems to be “rooted to soar”, it is not actually soaring. It does not have the freedom to explore, approach, or encounter. It is literally tied down. I am all for kids for who grow up with timeless values. But if they are really to soar, they should not be tethered. We do far too much of the latter in schooling that kids forget or do not learn how to think for themselves.